You are not broken, sweetheart. At least, not in any way that really matters. Not like people who are spiteful or small-minded or utterly self-absorbed. I hope the day never comes that you suspect “special” is a code word for defective. Or that having “needs” is a shameful weakness. There are people that think this way. Ignorant people who simply don’t understand. Cruel, stupid people who simply don’t care. Less than there once was, but still… too many people. Part of me wants to take a swipe at anyone who suggests you need fixing. To crouch in front of you and bare my teeth and unleash my primal maternal instinct on them all. Because the possibility, the mere hint of the idea that you are less than anyone else is repugnant. This is the truth. You work harder than anyone else around you. So many skills and activities which other people take for granted are a real struggle. Your health has to be monitored closely as you contend with a number of medical problems and risk factors. It takes longer for your brain to process the words you hear and the memories you are trying to recall. Your best efforts don’t always make the words clear enough for us to understand. You are often frustrated and overwhelmed. I want to fix that for you. Not because you are less; because you deserve more. You are so precious, sweetheart. Your sense of humor and your kindness and your stubborn will come to mind. And so many other wonderful qualities too numerous to describe here. There is no one in all the world like you. The world may look at you and see Down syndrome. I look at you and see… you. Down syndrome is part of your story. Maybe you wouldn’t be quite so exceptional if you didn’t have all these struggles. This reality has significant challenges, but there are gifts also. One extra chromosome has not been a tragedy for you. You are so precious, exactly the way you are, sweetheart. So when I was asked to speak on a radio talk show this week (CBC Radio – The Current) about breakthroughs in genetic research (Researchers turn off Down syndrome genes), it was harder than I expected. Of course when the news agencies use provocative words like “eradicate Down Syndrome” it conjures up thoughts of Nazis and final solutions, not dedicated scientists striving to make the world better for you. Of course I have reservations about safety and risk factors. Of course I hope that the professionals involved will continue to be respectful of our children’s needs, and strengths. Of course I wonder if this is yet another false hope alongside the dubious therapies and vitamin regimes often peddled to desperate families. But after a deep breath and a closer look I realize that it is incredibly good news. I’m thrilled about the possibilities the future might hold. Targeted therapies which ameliorate the harmful, even life-threatening effects of Trisomy 21 are more possible than ever. Research may not translate into reality for many, many years, but it isn’t overly idealistic for me to hope that early onset dementia (which affects 60% of adults with Down syndrome by age 60) will not be a problem for you. After all, they still have 52 years to figure it out. So why the difficulty? Why a panel to express a range of opinions? What could possibly be controversial about this? We all agreed, from Dr. Jeanne Lawrence (the head researcher who now has a HUGE fan in me), to the show’s host, to the rest of the panel, that anything which leads to longer, healthier lives for people with Down syndrome is a wonderful thing. what if we could “fix” Down Syndrome entirely? Nevertheless, this is where controversy finds the most traction. Is Down syndrome a problem to be fixed? Or is it a part of our genetic diversity to be embraced? There was a mother on the other side of the country, and the other side of the argument presumably, who was on the air with me. We don’t disagree about much. 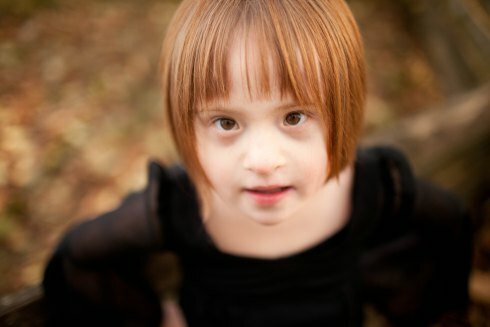 I appreciate her viewpoint and share her enthusiasm for the unique Down syndrome culture that has emerged in recent years. It makes me happy to know that you’re a part of it. 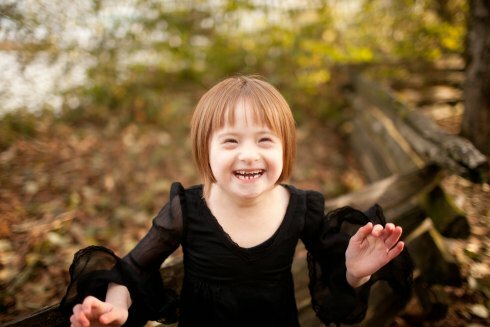 People with Down syndrome are worth celebrating. They are a remarkable group of unique people who share a common struggle. Some lead meaningful, rewarding lives. Some don’t. Some are kind, affectionate and openhearted. Some aren’t. Some are funny. Some are serious. Some are sociable. Some are shy. None are pitiable creatures to be patronized, nor angels to be revered. First and foremost, they are individuals who each have their own story. They are not extraordinary because they have Down syndrome, but because they overcome and thrive and contribute so much to the world. The Down syndrome community is inspiring. But Down syndrome itself is not something I celebrate. As grateful as I am for the many positive aspects of our experience, it is a medical condition that needs treatment, just like diabetes or asthma. So when asked if I would eliminate Down syndrome if I could, my answer is yes. I would choose this for you, sweetheart. 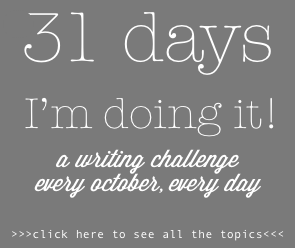 I am so proud of all the challenges you overcome almost daily, and of the person you’re becoming because of it. But I would bulldoze every one of those obstacles if it were in my power. Life is hard enough. There was a time when a child with Down syndrome was considered a hopeless case, when parents were encouraged to stash them away in an institution and try again. There was a time when children with Down syndrome wasted away and died due to a number of undiagnosed medical conditions. There was a time when children with Down syndrome were not expected to learn or participate or reach any level of independence. We’ve come a long way since then. I can only be grateful for the research that has brought us this far; not just the education and social support, but medical science also. Now minor heart defects and thyroid deficiencies and a host of other problems are detected and treated as a matter of course. Maybe someday, speech delays and low muscle tone and leukemia will be dealt with as efficiently. And maybe someday, Down syndrome itself will be little more than a passing mention in a medical history. I want that. For you and for the children with Down syndrome who haven’t yet been born. But it was hard for me to express that, both on the radio and here in the blog. Because I don’t want you to hear me wrong. You are not broken, sweetheart, not in any way that really matters. You are different, sweetheart, and life may never be easy for you. You are so precious, sweetheart, exactly the way you are. So here’s us, grateful for what is, and grateful for what could be, just as long as it involves many, many years with our sweet girl!